As preparations for next month’s governorship election gathers momentum, Akwa Ibom state indigenes residing in 19 northern states and the Federal Capital Territory (FCT) have endorsed Dr Nsima Ekere, the state’s APC candidate for governor. President, Akwa Ibom State indigenes, Abuja Chapter, Tommy Etim Okon, in an address, noted that the endorsement was borne out of the belief that with his experience as a former deputy governor and managing director of Niger Delta Development Commission (NDDC), Ekere stands in good stead to transform the south-southern state. Okon, who presented Ekere with a Bible as a guide for leadership, urged the governorship candidate not to betray the confidence and trust given freely by the people. On his part, Ekere, who was accompanied by the Senior Special Assistant to President Buhari on National Assembly Matters, Senator Ita Enang, and a former governor, Senator Godswill Akpabio, among other dignitaries, promised not to undermine the endorsement. He assured the gathering that his government will increase education bursaries from N5000 to N25,000, adding that he would reform the educational and health sectors. This is even as he vowed not to monopolize the 31 local government areas of the state if elected governor. “I am grateful to the almighty God for this endorsement, which I don’t take lightly because the people of Akwa Ibom State resident in Abuja and all the northern states came together and endorsed me,” the APC candidate said. “As of today, I have gone to 22 out of the 31 local governments of the State. The indigenes are dissatisfied with the governance with the present government, and they have made up their minds to embrace the change of the APC. 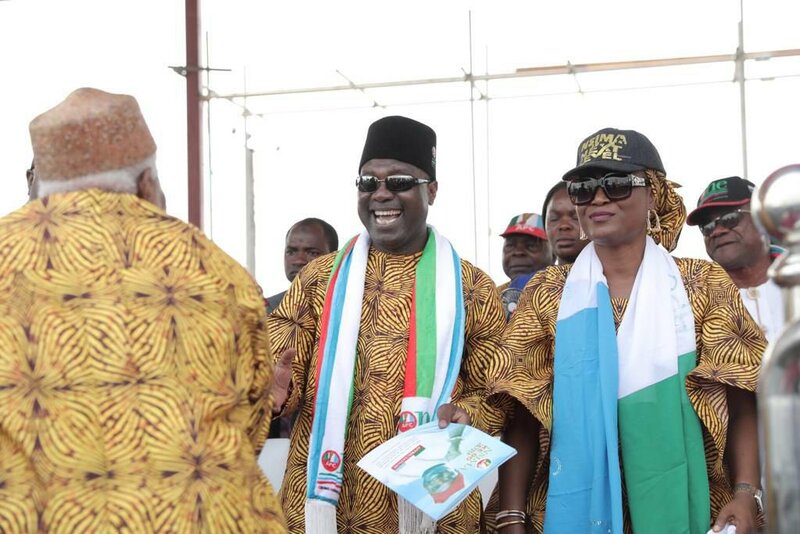 This endorsement reflects the backings of other people in the State,” Ekere added. Ekere, a former stalwart of the People’s Democratic Party (PDP), further urged the Independent National Electoral Commission (INEC) and security agencies to do a transparent job, worthy of remembrance. This is even as he blamed the PDP of trying to compromise the electoral process. “INEC and security agencies should play by the rules; they should no do anything that would begin to give us the impression that any political candidate or party is being favoured over another. “The PDP should not cry fowl because, If there is anybody that is trying to manipulate the election, it is the PDP-led government in Akwa Ibom State working with INEC to truncate the process,” Ekere claimed. “But I can assure you that Akwa Ibom people will resist any attempt by any person, no matter how highly placed, to manipulate the polls,” he stated.